Some of my favorite childhood memories involve joining my dad in Manhattan for work. Every once in awhile he’d either have a day off or it’d be a weekend and the two of us would head into the Big Apple. I’d play with things on his desk (nothing like a good pair of scissors!) or the copy machine down the hall. But the best part of the day was easily the magic shop. I loved performing magic tricks and my dad loved taking me to the magic shop near his office. The coolest, most entertaining salesmen in the world have to be people who work at magic shops. They just love showing off new tricks. Card tricks. Handkerchiefs. Making things disappear. I loved them all and would keep these “professional” tricks in my little magic box (a.k.a. one of my dad’s old broken suitcases). 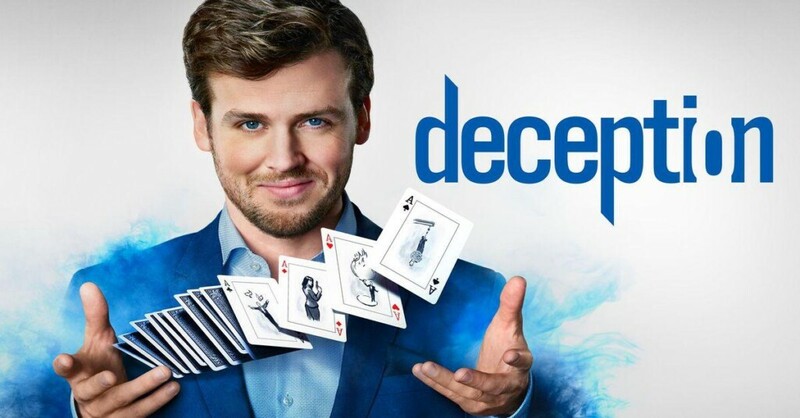 So when the family and I were recently watching TV and saw a trailer for a new ABC series called Deception, well, let’s just say we were mesmerized. The super short series pitch? It’s your standard crime drama with the addition of an illusionist and his team who help the FBI solve crimes. Yeah, they had me at magic. So far, we’ve seen the first two episodes and we are most definitely hooked. There’s an overarching theme and mystery to the show, with each episode containing its own stand-alone crime to solve. There’s even appearances by other celebrity magicians like my favorites, Penn and Teller. If you enjoy crime series, like tackling mysteries and just love a good magic trick, then you should give Deception a try. Just keep your eyes open at all times. When his career is ruined by scandal, superstar magician Cameron Black has only one place to turn to practice his art of deception, influence and illusion — the FBI. Using every trick in the book and inventing new ones, he will help the government catch the world’s most elusive criminals while staging the biggest illusions of his career. The series is from writer/executive producer Chris Fedak (Chuck) and executive producers Greg Berlanti, Martin Gero and Sarah Schechter. Illusionist David Kwong (Now You See Me) will co-produce. What do you think of Deception?